There are many ‘trade specific’ business building programs in the market, but none as unique as Lifestyle Tradie. Have you ever been to a business event where it’s just more of the ‘same’ bland and boring information? So generic in nature you’re left thinking, ‘how do I apply that into my business, and more specifically, my trade business’. They just don’t ‘get you’. Well, no more will you think this way when you’re involved with Lifestyle Tradie, because the owners of the business, Andy & Angela Smith, also own and operate a trade business, just like you. In fact Andy was crowned Small Business Champion Entrepreneur in 2008, and most recently they were awarded #1 Trade Business in Australia in 2015. 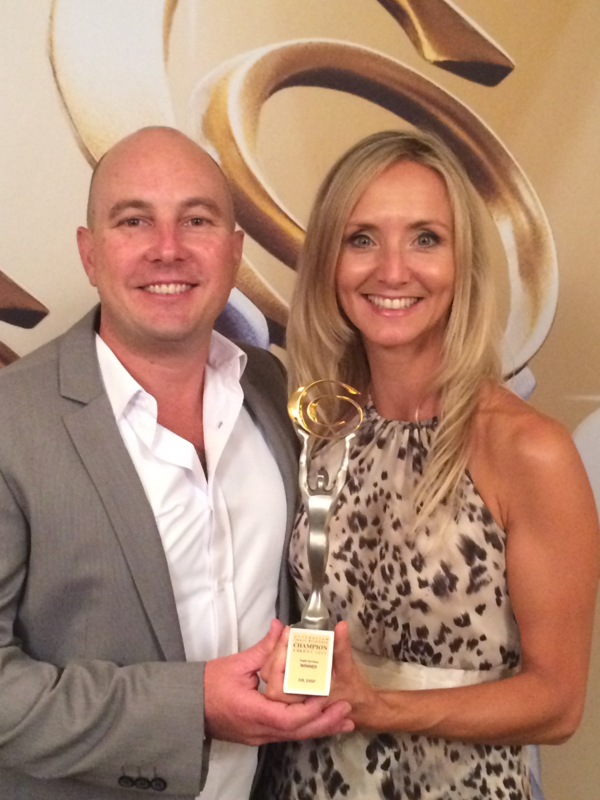 And the good news – it’s all shared within the Lifestyle Tradie community. They’ve even gone so far to claim that there’s one vital ingredient that keeps the business operating smoothly; and that’s having great systems in place. Systems make a complex process super simple through following an easy step-by-step process, which allows you the comfort of taking a holiday AND still make money. Like releasing a pressure value, the daily stress and chaos of business is replaced with order and control. Now that’s got to put a smile on your face! 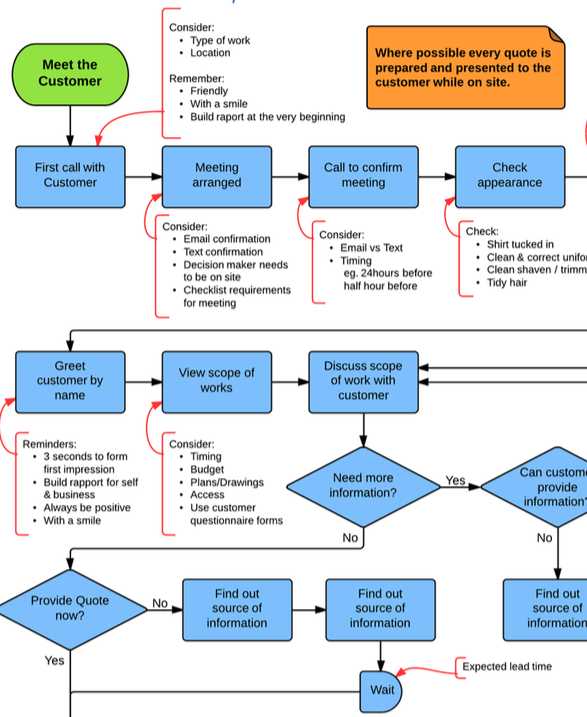 Lifestyle Tradie has invested substantially to develop over 200 Ultimate Freedom flowcharts that are common to most trade businesses. And, as a Platinum member they can help you too. The coolest part is that they are tried-and-tested in our trade business, plus hundreds of others before you have worked with them too, giving you comfort that they work! Plus you and your team can start using them straight away, saving you countless hours of having to design them yourself. This is how you prepare for rapid growth (if you want it), or set yourself up for the long term of selling your business for a considerable profit. It can ONLY happen with great systems. You see, it’s no secret that there are more and more business specialists trying to show you how to succeed, but none that have ‘been there and done that’, with solid rungs on the board, and the ‘know-how’ to fast-track true success. Andy & Angela even have solid accreditation having received their Advanced Diploma of Management, Advanced Diploma of Business and Advanced Diploma of Management (Human Resources). So no issue that they have plenty to share! That’s where Lifestyle Tradie stands head and shoulders above the rest. And they’re not shy in sharing their secrets on ‘how’ you too can achieve the same results. Have you ever spent a bucket load of money and countless hours on so-called experts to simply find out later that it was all for nothing… they really just don’t ‘get’ the trade industry and what we do! It’s like throwing a wad of $100 bills in the bin. What for? Not to mention trying to stay in touch with a rapidly changing market place to include; state-of-the-art tools and technology, latest sales techniques, strategic online & offline marketing, the changing face of social media, finance, cash flow, leadership and systems. Did they show you ‘how’ to apply it to your trade business? Many only offer a small range of topics at best and when it comes to applying it to your trade, they scratch their head and say ‘that’s your job!’. Lifestyle Tradie goes wide and deep on the many different and varied pillars of business and apply it ALL to trade, because that’s just what we do! T.A.F.E. started this single focus, having taught you how to hone your trade, and you’re good at it. Damn good. Now it’s time to match those skills in the ‘other side’ of business. Lifestyle Tradie will accelerate your learning and simplify your life through our unified approach to business; bringing all the information you’ve ever wanted into one easy to access location; our membership website contains over 400 ‘how to’ videos, templates, checklists and trade specific topics. Leverage your time with the practical and easy find ‘search’ function. You’ll learn how to adopt smarter methods of operation that will assist you to mould the right business model that will in turn, lift the lid on your earning capacity and allow you to grow the business with ease and simplicity. One significant area; Don’t get left behind by failing to adopt those clever tools and technology that your younger competitors are embracing. They will increase your productivity overnight and are available to you too… if you want them. The old ways of business just isn’t going to cut it anymore. It’s time to change that…forever. How many days go by where you’ve said to yourself, ‘I feel really isolated and alone running my trade business. Wish there was some one to talk ‘shop’ with’ or ‘I’m not 100% sure what to do about this situation. Wish there was a like-minded tradie to toss around ideas’. Every tradie would agree it’s a lonely place, where you stand as one to make some pretty big decisions within your business. Your partner is great, but they too feel the same way. Can you fix it? Lifestyle Tradie is the solution. Finally, a group of tradies, and their wives, that talk the same language. One member, on meeting the group for the first time said “I’ve met my ‘other’ family!”. Now that’s a compliment! When you both come to a Lifestyle Tradie LIVE event, you’ll immediately feel energized by the buzz in the room and inspired by the solid, applicable content you’ll receive. A safe environment to share your wins and celebrate your successes – big or small – with friends that actually give a damn. No tall poppy syndrome in this space. Only honest encouragement for positive change and transformation. What’s even better is the collective years of personal hands-on knowledge and experience within the group. All open to share their learnings and provide you with exceptional support to ensure you achieve the success you know you are more than capable of accomplishing. What’s the most important thing in your world? For most tradies we speak with they respond with ‘family’. Some say their surfboard or fishing boat… or their Lotus … but jokes aside, everyone just wants to live a life filled with fun, laughter and happy moments. That’s why Lifestyle Tradie wants to ensure you gain exceptional results within your business so that you can spend more time with the ‘things’ that are most important in your world. Did you notice we’re in the Lifestyle Tradie business? And the most important part is to ENJOY IT! Did you know you are far more productive when you ‘ve taken a break and had some fun? Studies have revealed that a small break improves concentration and a long break improves productivity. Most people have a better life perspective and are more motivated to achieve their goals after a holiday, or even a 24 hour time-out. And what about your health? You feeling fit? Strong? Focused? You need to be in tip-top shape to allow your business to reflect the same. The bottom line is; if you want to improve productivity, get yourself out for a night of fun with your friends. If you want to improve decision-making, focus and renew your energy, then take a holiday. The Lifestyle Tradie community are encouraged to share new energised experiences; from a calm paddle off Manly Beach, extravagant as a private charter with the families in gorgeous Fiji, or as physically brutal as a ‘Tough Bloke Challenge’, either way you are guaranteed a good laugh! Perhaps you said to yourself, ‘I know what to do. I just have to do it’, but two years on, things are still the same. Well, there is. And it’s within your grasp. If you want it bad enough! 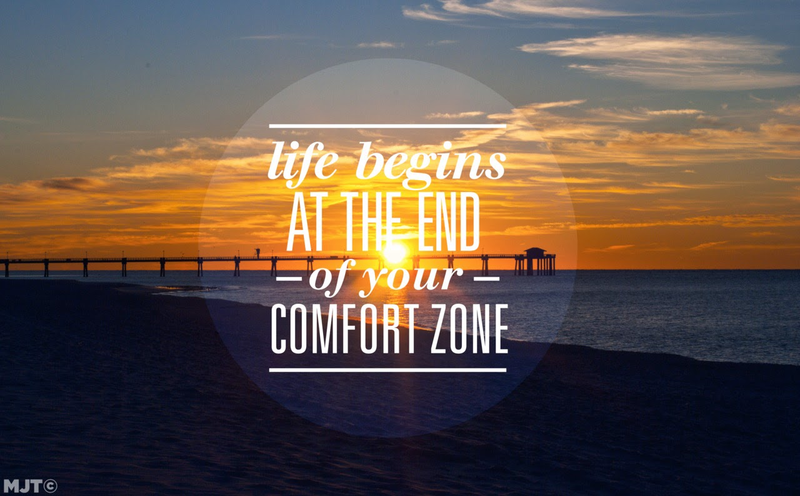 This is about getting out of your comfort zone. That cushy location where things are familiar; but so are the miserable results to date. Is it uncertainty that holds you back? Hundreds of tradies can’t be lying about the exceptional results they’ve achieved through applying what they learnt from Lifestyle Tradie. Have you heard their stories? You can hear their stories by CLICKING HERE. It’s your time. Time you jumped in with two feet. You too can experience the exceptional positive results of transformation within your trade business and celebrate the success of creating a better life for you and your family. The ultimate goal is exactly that – to provide you with the freedom to choose! 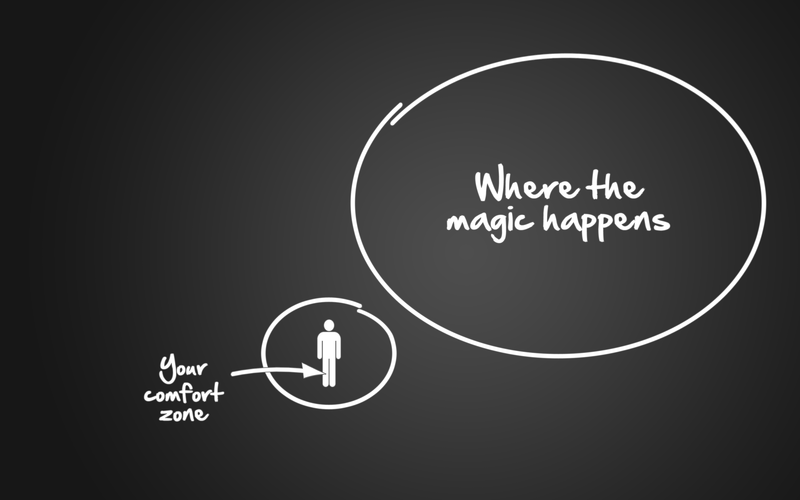 Break free from your comfort zone and go hang out where the magic happens! How Much Longer Are You Prepared to Tolerate The Same Ordinary Results By Staying In Your Comfort Zone? Lifestyle Tradie will give you a new and fresh perspective on possibilities for you and your business. It will open your eyes to ideas you may have never discovered on your own. Even if you did uncover them, to implement them into your trade business would be a slow and tiresome process. Like taking one. step. at. a. time. Lifestyle Tradie can help you fast-track the success you’ve always wanted, and know you can achieve – and it’s within your reach. If you’re serious about transforming your trade business into one that is both Profitable and Productive, a business that will support the life you wish to lead, then THIS is your moment of truth.